Original image could be bigger or smaller than the image that we want to engrave. 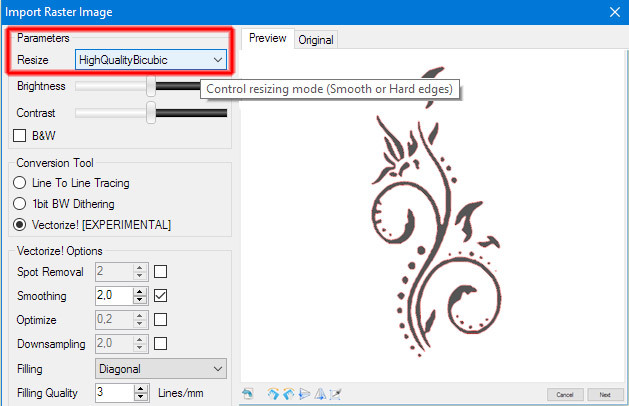 Resize option allows to choose the most appropriate scaling method. 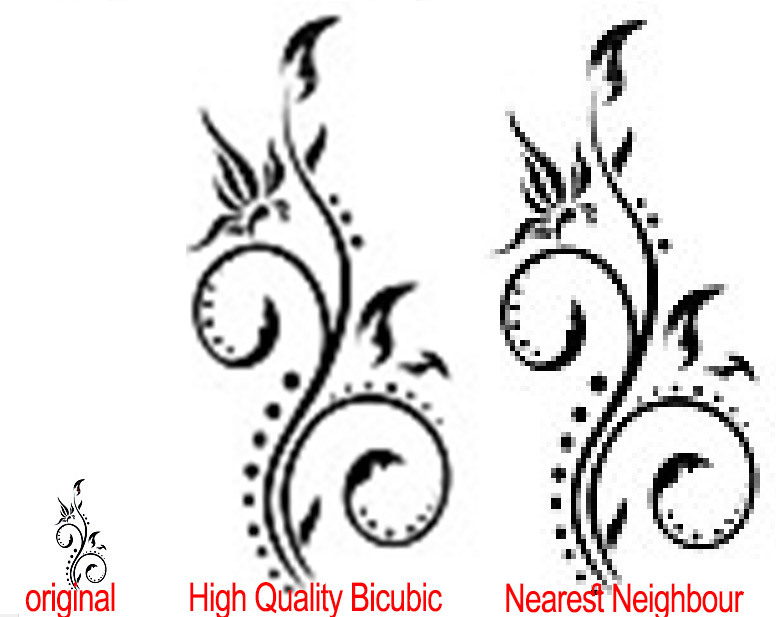 High Quality Bicubic: suitable both for enlargement and reduction, produce smooth images interpolating pixels. Nearest Neighbour: preserve hard edges scaling the image without smooth any pixel. 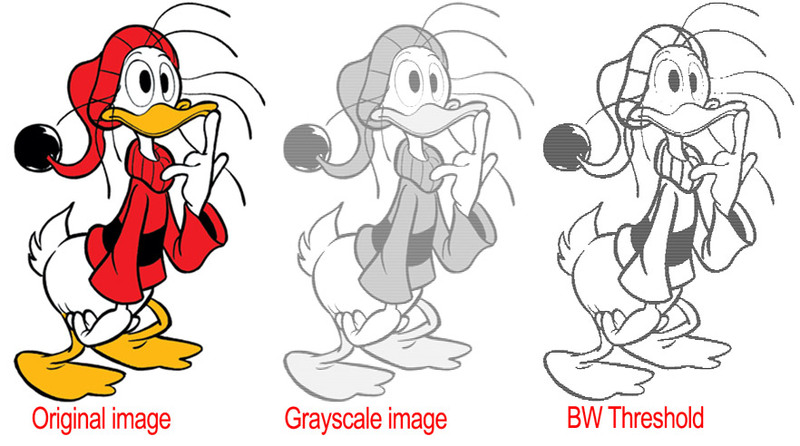 If you open a coloured image, conversion from colour to grayscale is needed. 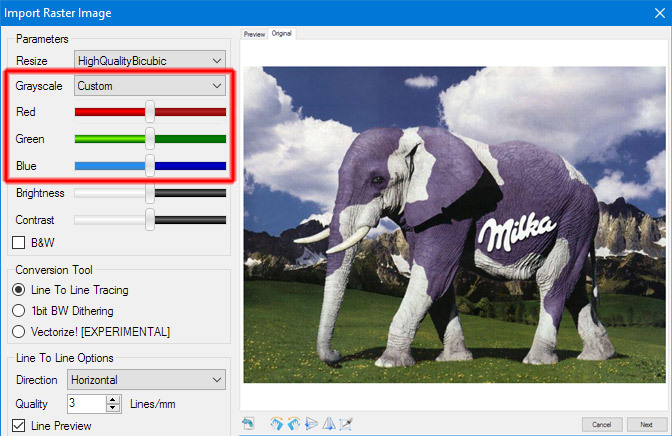 You can choose between a predefined colour to grayscale formula (SimpleAverage, WeightAverage or OpticalCorrect) or select the „Custom“ option and manually define the dominance of each RGB component. „Custom“ is useful when importing graphic images such as clipart, and we want to control the darkness/lightness of individual colour. With brightness and contrast you can darken or lighten the image, as well as increase the contrast. 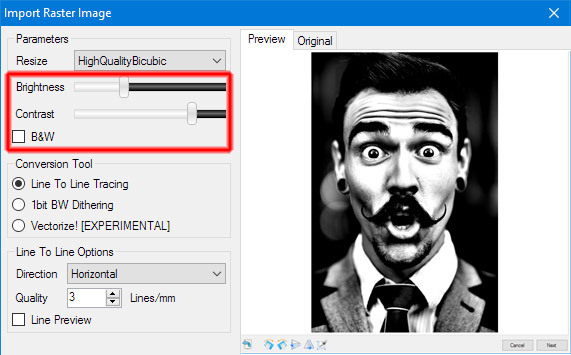 With BW option you can activate a threshold on the image: pixels brighter of the threshold will be considered white, darken will become black. All of these options affect how the various tools process the image and produce the final result. Since different materials behave differently when they are engraved with laser, it is essential to play with these options to find the best combination for the desired result.